Patrick Mahomes has already proven to be an elite quarterback this season, but the no-look pass he lobbed in the Kansas City Chiefs' game against the Baltimore Ravens was next level. The second-year NFL quarterback's pass did not seem possible, but receiver Demarcus Robinson was able to snag it. 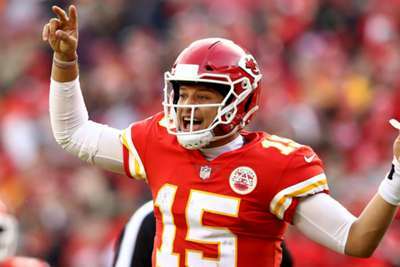 At the time of the no-look pass, Mahomes had thrown for 219 yards, one touchdown and one interception with three minutes left in the third quarter. The Chiefs went on to clinch their place in the playoffs with a 27-24 win.